The research is clear – women who have a strong social network of support have lower cancer recurrence rates and a longer overall survival. Social well-being is correlated with physical well-being, reducing depression and stress and leading to better health outcomes. These are good things, but at TCC our workouts are about so much more. They are about comradery and laughs, about noticing when someone isn’t feeling well or calling to check in if we haven’t seen someone in a while. 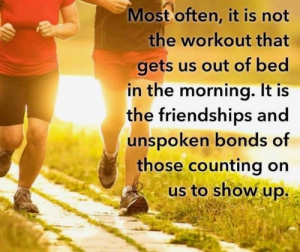 They are about showing up, not just to exercise, but to catch up with friends and support one another. Come join us! Click here to read the full article at CBSNews.com.